Pivot is the largest cryptocurrency community in China, and is expanding quickly worldwide. Pivot is found by Lin Yingming, the former CTO of Thunder, Xu Lin, the former senior management of Zuiyou Community and Wang Pan, the former senior management of Zuiyou Community. The Chinese version Pivot was launched in March, 2018. In six months, more than 200 blockchain projects, 111 blockchain media outlets and 91 blockchain business leads have opened official accounts in Pivot. Lin Yingming, the Founder & CEO of Pivot observes ： Pivot will have a deep cooperation with Huobi in the field of news, market cap and community. And Pivot will continue to offer the best service to high quality blockchain projects, while building the best community for cryptocurrency investors. Wang Run, the General Manager of Huobi Eco Fund observes : The founding team of Pivot is well experienced to build and operate a "community for investors" . The Chinese version Pivot has a very positive reputation among users and it is still developing quickly. 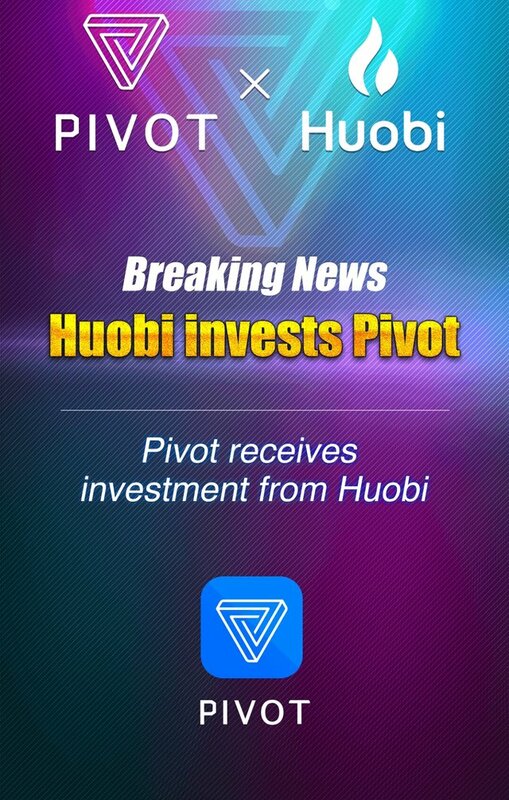 He believes that Pivot will increase its influence in global market after joining the Huobi Ecosystem. Pivot and Huobi together will contribute to the development of blockchain industry.